Brutal. Ruthless. Deadly... And they're the good guys. Cinemax's first scripted primetime drama series returns after a more than two-year hiatus, with a new cast of intrepid protagonists and nefarious villains facing off in a risky international game of cat and mouse. 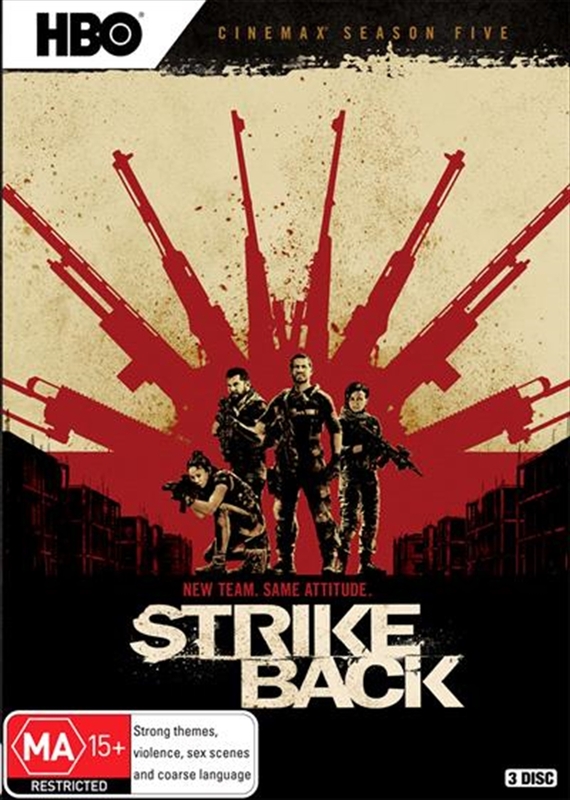 A high-octane thriller filled with an abundance of adrenalized action and heart-pounding suspense that are the franchise's trademarks, Season 5 of Strike Back introduces MAX viewers to four newly minted members of Section 20, the disbanded secret British anti-terrorist unit that has been resurrected in the wake of a deadly terrorist's escape. Faced with daunting odds in a variety of hostile settings, the new team Samuel Wyatt (Daniel MacPherson), Gracie Novin (Alin Sumarwata), Thomas Mac McAllister (Warren Brown), and Natalie Reynolds (Roxanne McKee) take full advantage of Section 20's state-of-the-art resources to prevent the elusive Omair Idrisi and his equally sinister British-born wife Jane Lowry from unleashing a stolen cache of weapons of mass destruction. Over the course of the season, viewers will hold on to their collective seats as the covert unit embarks on a lethal manhunt involving a vast global web of criminal and terrorist activity. As the team journeys across North Africa, the Middle East and Europe, they uncover a toxic conspiracy that threatens to destroy them and change the face of modern warfare forever.